(NewsTarget) Chlorophyll is a pigment found in dark green plants that is important for photosynthesis to take place; however, this pigment does more than just facilitate energy production in plants. According to Michael T. Simonich of the Linus Pauling Institute, chlorophyll actually helps fight cancer cell growth and acts as an antioxidant in the body. Chlorophyll protects against various chemical carcinogens found in fungus-contaminated nuts and grains, the toxic materials created when meat has been overcooked, and carcinogens in the air that result from pollution. It does this by blocking the metabolism of chemicals known as procarcinogens that damage DNA. By preventing DNA from being damaged, cancer growth is inhibited and prevented. 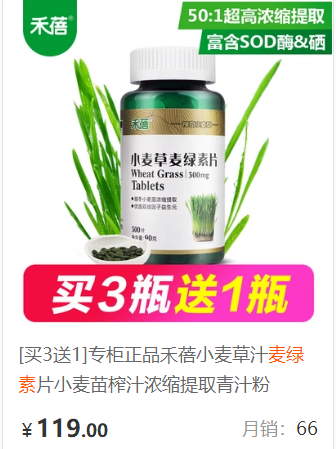 The strength of chlorophyll was demonstrated by applying it in eastern China where fungal contamination of grains and nuts is very common. Because of the contaminated grains and nuts, many Chinese people suffered from liver damage and cancer. After supplementing with chlorophyllin �C- the synthetic counter part of chlorophyll �C- at 300mg (100mg three times daily), the incidence of liver cancer among that population decreased significantly. Further investigation into the antioxidant, anti-mutagenic properties of chlorophyll by Chinese researchers has begun. There is little known about the bioavailability of chlorophyll and how it is metabolized. What is known is that it is effective in aiding in cancer treatment and it has potent antioxidant properties. Supplementation of chlorophyll is fairly easy �C- all that is needed is a supplement of a substance known as chlorella. 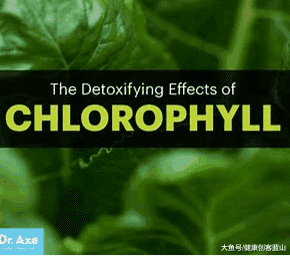 Chlorella is green algae, and is a preferable source of chlorophyll than dietary sources because it is a more concentrated supply of chlorophyll. But supplementation isn’t always necessary. Supplementation would be more necessary for the chronically ill. Simple dietary changes that could be made would suffice for those who are not chronically ill, and would provide an adequate amount of chlorophyll to prevent any future complications. There may be more risk with supplementation anyway: even though current data cannot find a toxicity level for chlorophyll, more is not always better. Great sources of chlorophyll would be dark greens such as spinach, kale, green beans, arugula, leeks and many more dark greens. Furthermore, taking chlorophyll before or at meal-time greatly reduces the carcinogenic effects of food. Since it primarily acts as a blocking agent, chlorophyll is able to block the absorption of the carcinogen by forming a molecular complex too large to be assimilated in the small intestine. In other words, to get the full anti-cancer benefits, eating a salad comprised of spinach, kale, parsley (or a chlorella supplement) and other green-goodies before that well-done steak will help prevent the development of those cancer-causing compounds. If chlorophyll is consumed after having cancer-causing food items, however, there will be little benefit because the carcinogen has been ingested and assimilated. Therefore, it is important to have your veggie-filled salad before eating anything that may have carcinogenic effects.